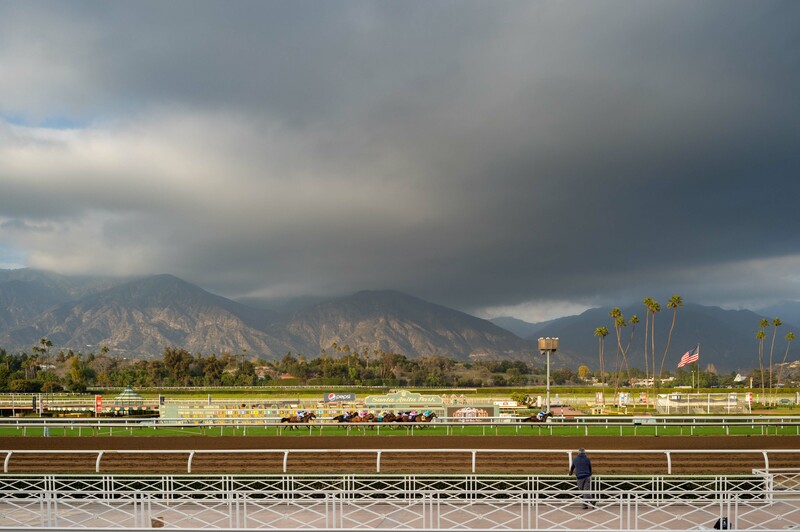 For those who like to play the ponies or attend other events at Santa Anita Park, a reminder that the new Gold Line Arcadia Station — which opens March 5 — is a short stroll from the track. Photo by Steve Hymon/Metro. News flash! : The Metro Board of Directors’ Finance, Budget and Audit Committee will be discussing trends in ridership — Metro and otherwise — at their 1 p.m. meeting. You an listen to the meeting live or later; a link will appear here when the meeting begins. Service Alert! : Three Blue Line stations — Grand/LATC, San Pedro and Washington — will be closed this weekend for track and weatherizing report. Bus shuttles and Expo Line will replace service. More here. (Reminder: Transit Accessible pro hockey is available at the Blue and Expo Lines’ Pico Station). (Reminder: Transit Accessible pro football is available at the Expo Line’s Expo Park/USC and Vermont Stations this fall). Attentive readers know that the project has studied five alternatives for improving traffic around the gap in the 710 between Alhambra/El Sereno and Pasadena (click to see fact sheets on each): traffic signal and intersection improvements, light rail, bus rapid transit, a freeway tunnel and the legally-required no-build option. Caltrans and Metro released a draft environmental study was last March, public hearings were held in spring and summer and agency staff are now reviewing and working on responses to public comments. Staff will eventually recommend an alternative. A cost-benefit analysis was released for the project last summer and is posted below. As for the USPIRG’s contention above, the freeway tunnel alternative is the most expensive. The analysis also found that the freeway tunnel alternative would result in higher emissions than other alternatives but would result in greater time savings for commuters and would result in fewer car crashes as traffic shifts from surface streets to the freeway. This is a big, complicated project — if you have time, I encourage you to look through some of the reports, including the draft environmental study (extremely long) or its executive summary (much shorter). There’s a lot to digest and some big issues on the table, namely the public policy question of whether some of the better-known freeway gaps in our region should be finished or whether there are other alternatives that may be better. Also, there’s a lot of info on the project home page for those who want to peruse. They are certainly not the only ones advocating for more transportation options. That said, as regular readers know, I’m not quite sure I’d feel comfortable saying the driving boom is over given that about 86 percent of Americans either drive alone or carpool to work, according to the U.S. Census Bureau. Also, while the number of estimated miles driven by Americans dipped in the wake of the Great Recession, the number of miles driven appears to be climbing again, according to the Federal Highway Administration. Precisely, that means that last year was the warmest year since 1880, when global records were first available, according to NOAA and NASA. The previous global record was set in 2014. 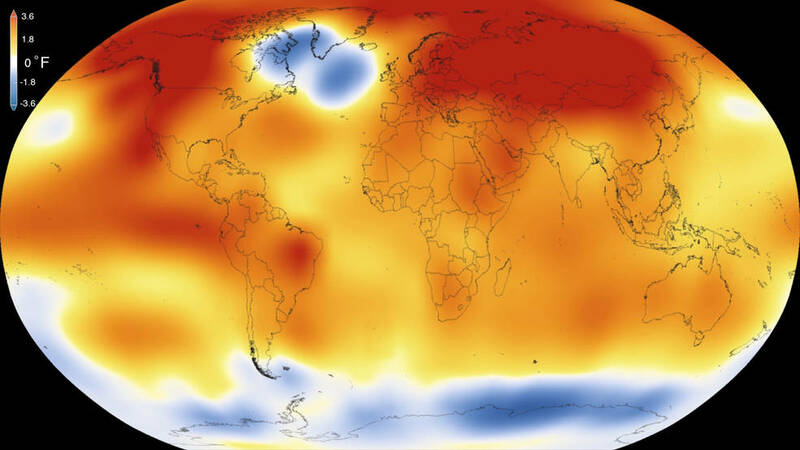 In the U.S., 2015 was the second-warmest year on record. We certainly had a warm year here in Southern California and it was striking to see spring-like temperatures on the East Coast before the recent winter holidays — and not surprising that Dec. 2015 was the warmest December on record since 1880. Attentive Source readers know that studies have found that generally speaking, one way to reduce your greenhouse gas emissions is to take transit instead of driving alone. One of the renderings from AECOM. Urbanize LA has a ton of renderings with their story. This is the vacant property that has defied development for years, sitting more or less between the L.A. Times and L.A. City Hall, as if it was taunting these two civic institutions. The site is also next to spiffy Grand Park, meaning the city is going to get a nice boost in green space. 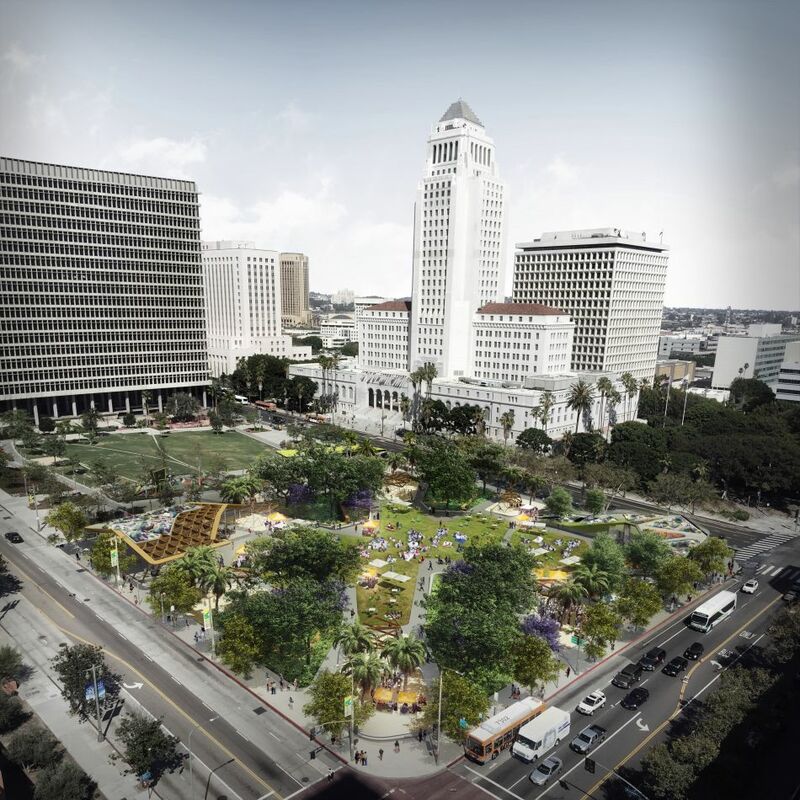 That’s great news, of course, and like Grand Park, the new park will certainly be a transit-accessible site with many bus lines stopping nearby, as well as the Red/Purple Line and the new 2nd/Broadway underground station being constructed as part of the Regional Connector project. This raises the question whether the other big project in the area — the residential and commercial development across from Disney Hall — will ever get built. There has been a considerable boost in residential units in nearby Little Tokyo and the Arts District and me thinks it would be great to have some new residents in the Civic Center neighborhood, too. Jan. 16: Expo Line tracks handed over to Metro, four interesting ideas for transpo in our region. Jan. 15: big cars, electric cars and self-driving cars. Since it seems the idea of connecting the 710 to the 134 and 210 won’t die, how about a compromise? We dig the tunnel, but only electric powered freight trains from the port can use it. The trucks can pick up their containers somewhere away from major population centers. Then with the money saved (and there will be lots), we could build the light rail between Pasadena and East L.A.